Full length lux chiffon and matte satin dress. 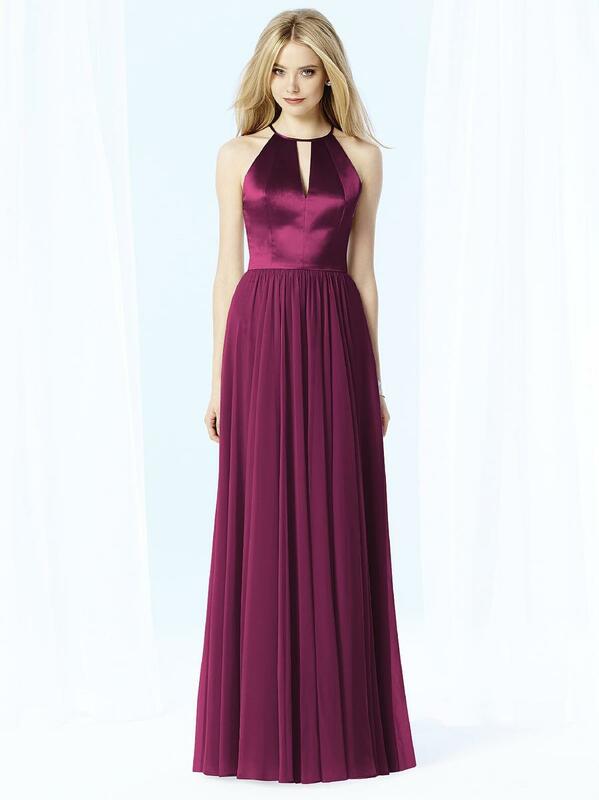 Matte satin bodice has modified halter neckline with V-detail at center front. Modified circle skirt. Sizes available: 00-30W, and 00-30W extra length.